AWeber and MailChimp, the two most in demand email marketing platforms, continue to dominate the niche, both with regards to price and features. However, you don’t need both, and choosing between the two could be a little overwhelming. After all, you’re going to use the service for a long time so it’s better to think it through prior to ultimately going with one. The service you should be looking for should have an easy subscribe/unsubscribe option, excellent deliverability, and top notch support. 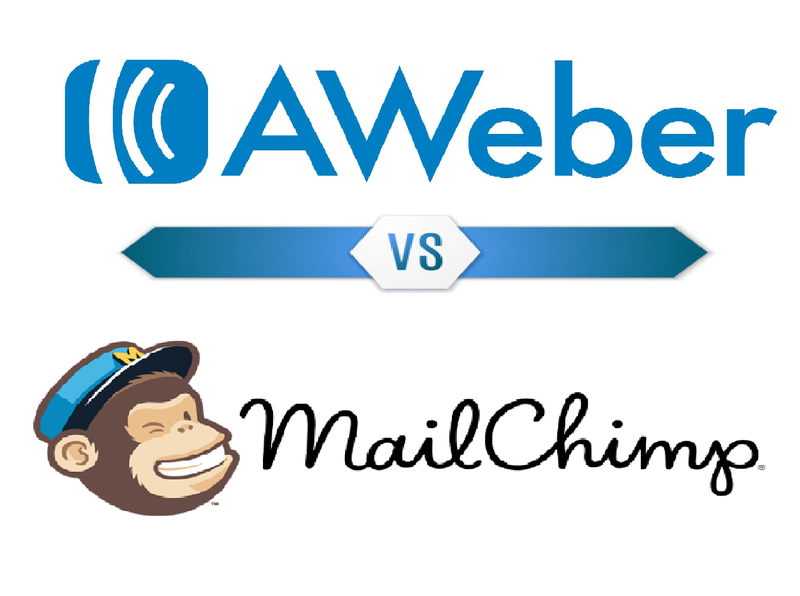 Both MailChimp and AWeber offer these which make choosing between them even more difficult. In this post, we are going in depth into their features, pricing, template design, and opt-in forms that they offer. Upon reading this post, it will be easier for to choose the service that would suit your needs the best. AWeber lets users to easily send out newsletters, has more than 3000 stock photos and 700 templates in their library, and lets users to send their RSS feeds in a form of a newsletter, employs auto responders for drip emails, offers opt-in forms and has an android and iOs apps. MailChimp, having a little bit of an edge on usability, offers all these plus an advanced drag-and-drop email designer, email customization, and advanced analytics. To put it simply, they’re very much alike. Let’s take a look at some of their key differences. Obviously, you want to build a list of subscribers. The best way to generate them is through sign-up forms. AWeber allows users to build sign up forms with up to 25 fields of info, using either your custom design or their own readymade templates. These forms can embedded into the site, convert them into a landing page, and allows users to do an A/B tests on them. It can also be integrated with PayPal, WordPress and Facebook allowing customers to easily add their personal information if they are already using any of these platforms. Users can also utilize the mobile app to add subscribers via handheld gadgets. MailChimp, on the other hand, needs some HTML background. While this user-friendly lets users to quickly sign-up forms, once MailChimp generated the HTML codes, you need to know how to properly put them into your website. MailChimp hosts the normal sign-up form on their own server, so the readers will be directed to their servers for them to fill out the forms unless users embed the form on their website. MailChimp has the edge when it comes to email templates, since it allows users to make their own templates from scratch while brainstorming with your team, and also allows users to send out test emails while making finishing touches on the campaign. With MailChimp, users will be able to see how each email looks on various screens as well. Aweber has premade templates that users can use. While it may look simpler, with over 700 hundred templates to choose from it may be time consuming to find the one that will fit your needs. Users can have AWeber to design a premium, custom made template for $229, or tweak any premade template for $29. When you are just starting out, you are going to need to transfer your email list into your preferred service. You can easily do this via Aweber. Aweber allows users to import data from various spreadsheets or text files, users can even copy and paste emails from another app. Users can easily sort and filter contact information via Aweber’s list fields, and classify where each subscriber is for so you can send out confirmation emails to relevant ones. MailChimp also lets users to import date through CSV files or spreadsheets, or even text files. Pretty much like what Aweber’s offerings, you need to sort and filter information through MailChimp’s list fields, but it is comparatively easier to do since their priority is user experience. For you to determine the success of your email marketing initiatives, you need to have access and tack analytics. Both services boast exceptional options, allowing users to segment their subscribers into lists, sending different email pitch to each one. Aweber’s interface offers clear information and data on open and click through rates, as well the number of unsubscribers. MailChimp’s offering is pretty much the same but comes with few additional features. MailChimp allows users to send tweaked campaigns to subscribers who were not able to click the links on past email campaigns. In addition, MailChimp helps users know the bounce rate of their campaign and notify them which ones need to be re-sent. MailChimp also allows their users to compare and assess their campaign performance in their niche. Lastly, MailChimp’s A/B testing framework is more user-friendly, allowing users to test subject lines, and time of day to send out emails. MailChimp and Aweber both have their own online tutorials and walkthroughs that users can use in troubleshooting the issues they might encounter. Both of them also provide email support. However, Aweber has a bit of edge for they offer live chat, as well as toll-free number, making their customer service department very easy to reach. If you are not fond of the idea of solving the issues on your own with the help of pre-made online support tutorials, or simply don’t want to wait for email support to respond, Aweber is clearly the one that will fit your needs. Depending on how you set your business up, you may want to incorporate affiliate links in your email newsletters. MailChimp, however, has very tight and strict policies with regards to links. While they do not prohibit affiliate links entirely, they have a long list of banned domains that users will need to avoid. That being said, if affiliate links are a major part of your email marketing campaigns, you’d be better of going with Aweber which has loose policies with regards to links. The question everyone is concerned about, how much do they cost? Aweber has a very straightforward pricing set up, beginning with $19 a month for as much as 500 subscribers and then it goes up from there. Prior to signing up, Aweber offer a 30 day free trial period to see if their service is something that fits your needs. MailChimp offers a free basic plan that lets users to send out up to 12,000 emails to as much as 2,000 subscribers. Once you went beyond the 2,000 mark, you will then have to sign up for one of their paid plans, which scale as the users list grows. Both MailChimp and Aweber dominate the email marketing landscape, and either one of them will be a really good choice. However, there are some cases where one may serve your needs better than the other. MailChimp is a better option for those who are just starting out, and aiming to set up and build a list without shelling out a budget for it. They are more focused on providing user-friendly designs, functionalities, and options, so other than their signup form that requires a bit of HTML knowledge, you don’t really need to be tech savvy to familiarize yourself with the service. In addition, MailChimp offers numerous integrations, allowing users to easily import contacts from various services. However, the service may not be a good choice if you are thinking of incorporating affiliate links into your email marketing campaigns. Aweber is a bit pricier, and even through it recently has gone through some updates, it still loses to MailChimp when it comes to ease of use. However, if you are capable of spending some money, you can get their own designer to craft a custom template for you, and the end product will certainly be way better than MailChimp’s templates. Aweber is ideal for large agencies and companies, since they have big chunks of budget for their email marketing campaigns. A lot bigger blogs that have been around for quite some time prefer it since Aweber has better customer service, and a more user-friendly signup forms. 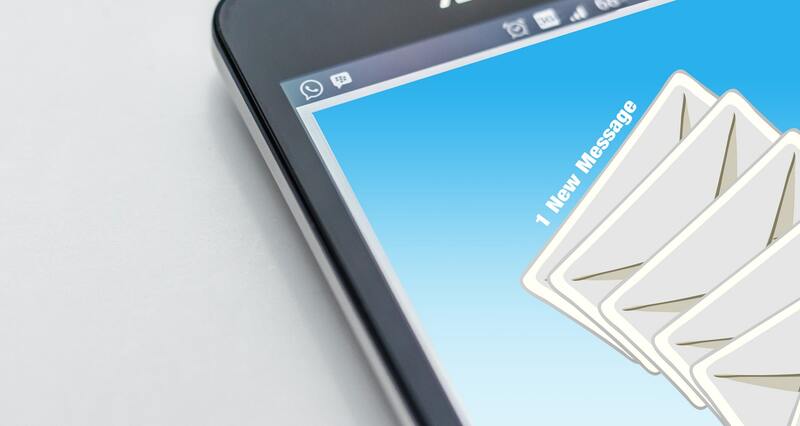 We hope this post helps you choose the email marketing platform that will fit your needs. If you are using one of using one of them, what convinced you to go with it? Are there other services you want to recommend? Let us know your thoughts in the comment section below!